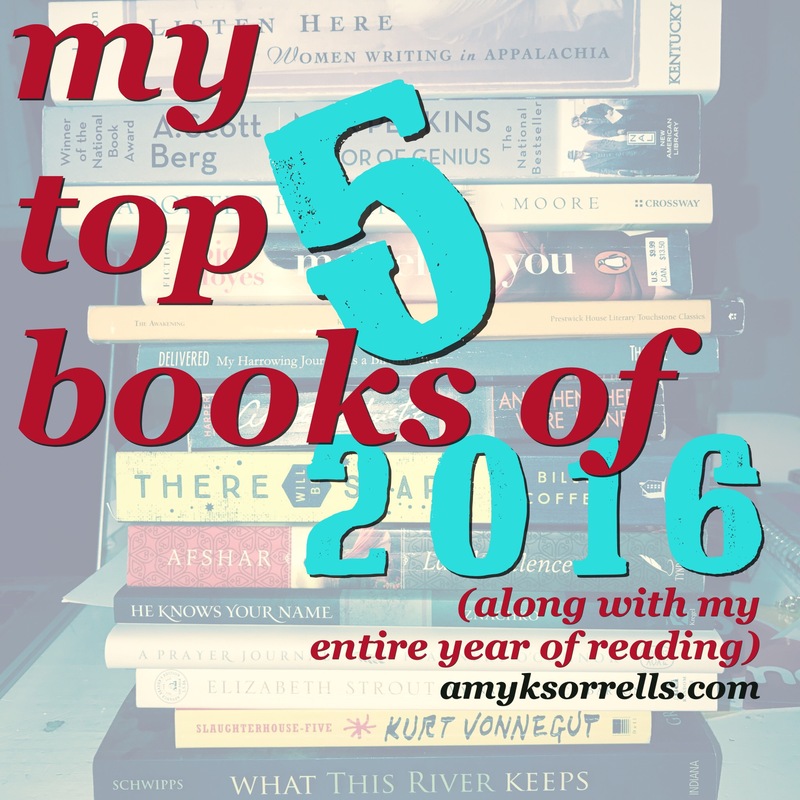 Books I read in 2016, and my top five favorites of the year. The good news about 2016 is I read more than I thought I did. The bad news is I never feel like I’ve read enough. To close out the year, I thought it’d be fun to share with you all the books I read in 2016, including my top five favorites of the bunch. If you want to peruse most all of the books I’ve read and my to-read pile, click here to visit and connect with me over at my Goodreads site. I’d love to talk books with you over there. This year I joined a book club for the very first time, and thanks to them I read a lot more suspense and thrillers than usual. And thanks to my teenagers’ school reading assignments, I read a few classics I would not have otherwise. Some of them I liked, others I did not, but I definitely learned something either personally or about writing better from all of them. 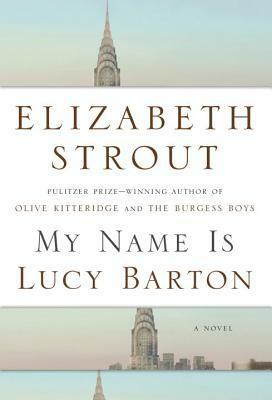 My Name is Lucy Barton, by Elizabeth Strout. Strout is one of my all-time favorite writers, and this novel did not disappoint. Her language is simple yet exquisite. Her structure is bare and yet every word bursts with meaning. 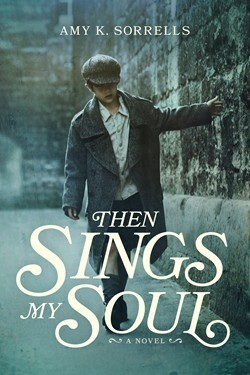 Her characters invoke nearly every emotion and yet, without a hint of melodrama. Her prose amazes me. Slaughterhouse 5, by Kurt Vonnegut. This is the first Vonnegut I’ve read. I know, shameful, right? But you have to understand, I live in Indiana and Vonnegut is all anyone in writing circles here ever talks about. I did not want to like Vonnegut. And yet, the characters got under my skin and into my bones, and I cannot forget them. For me, that is one of the truest measures of a great book. *sigh* And so it goes. The Dog Stars, by Peter Heller. A post-apocalyptic book without being overly theatrical. What’s not to like about a man and a dog and love in the middle of hopelessness? I might be partial because I live with four men and three dogs. But still, the story is thoughtful and introspective, and once again, memorable. 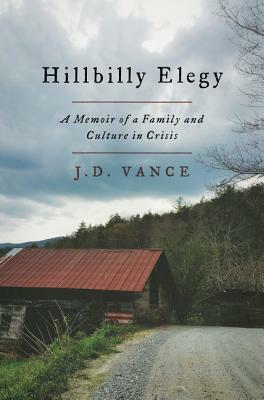 Hillbilly Elegy: Memoir of a Family and Culture in Crisis, by J.D. Vance. One of the few non-fiction books I read, it’s also one of the best. J.D. Vance defied all odds and achieved an Ivy League education despite his sometimes abusive upbringing in a family (like so many) forced to move from their beloved Appalachia to Ohio to find work. If you want to know what the rust belt, red state phenomenon is all about–and even if you don’t–this is a moving and eye-opening read. 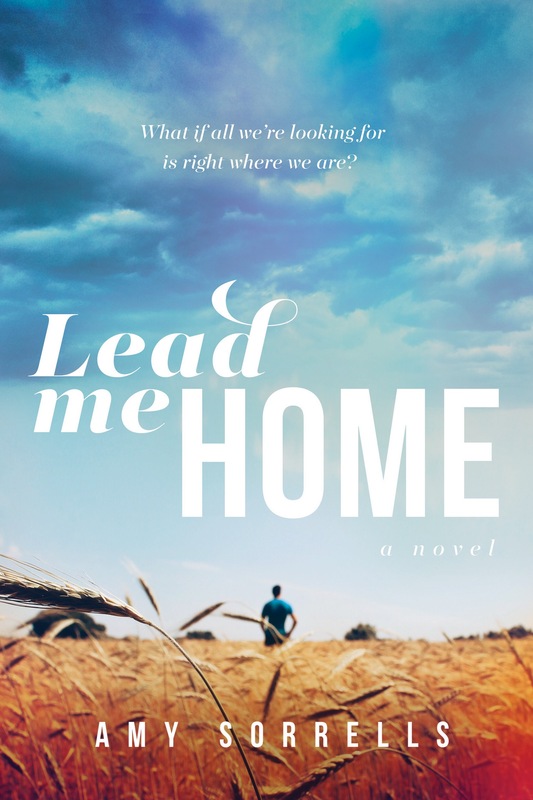 Vance succeeds in writing a powerful memoir without being political, leaving readers to make their own conclusions about the plight of the disenfranchised in America. 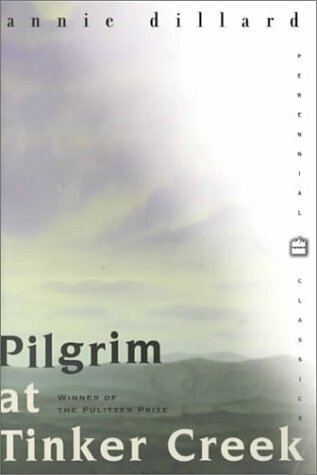 Pilgrim at Tinker Creek, by Annie Dillard. This book is a gift to the soul. First published in 1974, I would call it contemporary transcendentalist in flavor, and poetic in its prose. Dillard writes about both the microscopic and awesome, sometimes beautiful and sometimes disgusting, details of nature–plants, insects, animals, weather, and more–through a year’s worth of seasons at her home in Virginia. At once a prayer and a meditation, this book was precisely the salve my worn out writer’s heart needed this year. 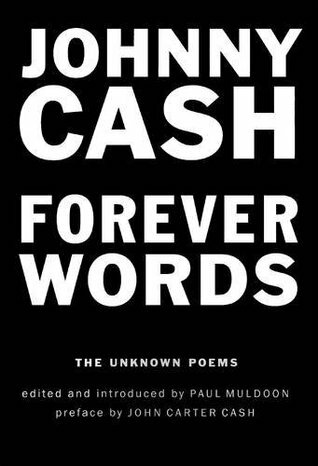 Honorable mentions go to Johnny Cash’s book of previously unknown poems (because JOHNNY CASH), and Greg Schwipps’ What This River Keeps. Winner of the 2010 Indiana Author’s Award a fellow DePauw alumni (and now professor there), I admit I was a bit partial to the story going in. At the same time, I’m a picky reader and this story did not disappoint. In fact, he wrote the story I wanted to write, which is fine because I could not have done it half as well. 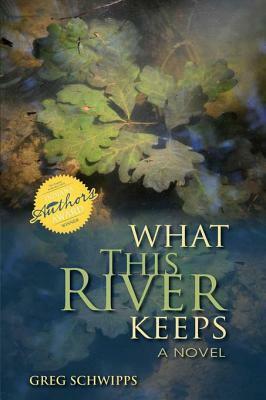 It’s the story of what happens when a reservoir is built, when a river is dammed up, when a place is flooded, and what remains–literally and figuratively–in the hearts of a small Indiana town. Raw and real, with prose that meanders and pulls with the same grace as a river, Schwipps belongs in the same category as writers like Kent Haruf and Wallace Stegner. Below is my entire 2016 reading list. If so, did you like or dislike? And finally, take a second and let us know in the comments what YOU read in 2016 and your favorites of the past year! May our bookshelves be full and our obsession with good stories never cease. Happy reading in 2017, friends! ← Fear not, O Israel. Thank you for reading my book this year! Your amazing endorsement humbled me and I will forever treasure your support, affirmation and tender heart for the kingdom!